Hatz was Audi's top engine developer before being promoted to VW Group powertrain chief. FRANKFURT -- Wolfgang Hatz, Volkswagen Group's former top engineer, who has been in a German jail for eight months over his alleged involvement in the automaker's emissions scandal, is appealing to the country's highest court in a bid for his freedom, reports said. Hatz is a close ally of former VW Group CEO Martin Winterkorn, who was recently indicted by a U.S. federal court on charges of conspiring to mislead regulators over the automaker's diesel-emissions cheating. Hatz worked for both Audi and Porsche during his career. As VW Group's powertrain chief, he was in charge during the period that the automaker developed and sold diesel engines manipulated to cheat tests. The executive's lawyers have attempted to secure his release by offering to surrender his passport and post bail of several million euros, but prosecutors in Munich, who believe Hatz is a flight risk, have declined the offer, according to reports. Now the engineer has turned to Germany's highest court in an effort to secure his release, the country's Sueddeutsche Zeitung reported. In comments made to Germany's Handelsblatt, the constitutional court, based in Karlsruhe, confirmed through a spokesman that a constitutional complaint had been made by a manager from the auto industry in relation to his detention, but declined to name the executive. Audi admitted in November 2015, two months after parent VW Group's diesel emissions scandal broke, that its 3.0-liter V-6 diesel engines were fitted with an auxiliary control device deemed illegal in the U.S.
Hatz was Audi's head engine developer from 2001 until 2007 when he was promoted to VW Group powertrain chief. 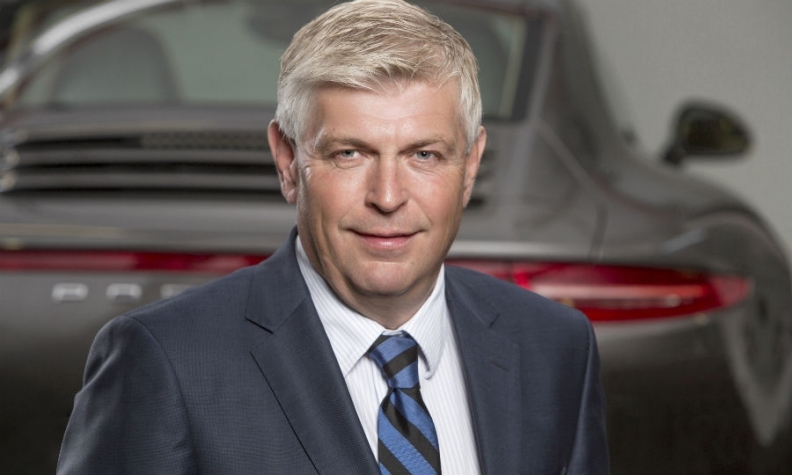 He gave up the post in 2012 to focus on his job as Porsche r&d boss, which he added in 2011. Winterkorn was added to a list of company executives that U.S. authorities are seeking to extradite from Germany. Earlier this month, Winterkorn was charged in federal court in Detroit with conspiring to mislead regulators over the emissions cheating at VW. Winterkorn, 70, was listed for the first time with five other German VW executives originally charged in 2016. The government believes the five are responsible for the company's diesel-emissions scandal. The others are Richard Dorenkamp, Heinz-Jakob Neusser, Jens Hadler, Bernd Gottweis and Juergen Peter. All are in Germany, where they are safe from extradition to the U.S. under the German Constitution. U.S. authorities are also seeking to extradite former Audi manager Giovanni Pamio, who was arrested in Germany in July in connection with the diesel investigation. Pamio has been charged in the U.S. with conspiring to defraud U.S. regulators and consumers through software designed to cheat emissions tests in thousands of Audis. Two former executives are already serving time in U.S. facilities for their role in the scandal. Former VW Group engineer James Liang was sentenced to 40 months in a U.S. federal prison and hit with a $200,000 fine for his role in the scandal. Oliver Schmidt was sentenced to seven years in prison and was given a $400,000 fine after admitting to conspiring to mislead U.S. regulators and violating clean air laws.